Skill Test /Personal Interview for engagement of Civil Engineers (JLE) on contract basis for KITE Project in Kerala. 01 Assistant Executive Engineers (Civil) in AP Rural Water Supply and sanitation Department. Must possess a Bachelors Degree in Civil Engineering of a University in India established or incorporated by or under a Central Act, Provincial Act or a State Act or an Institution Recognized by the University Grants Commission or pass in Section (A) and (B) of AMIE Examination conducted by Institute of engineers in Civil. G.O.Ms.No.75, P R and R D (Estt-III), dated:06.04.2011. 02 Assistant Executive Engineers (Civil) in Roads & Buildings Engineering Service. Must possess a Bachelor’s Degree in Civil Engineering of a University in India established or incorporated by under a Central Act, Provincial Act or a State Act or an Institution Recognized by the University Grants Commission or an Equivalent qualification. As per G.O.Ms.No.230 TR & B (Ser-II) Dept., dated:02.11.2005 and G.O.Ms.No.171 TR & B (Ser-II) Dept., dated: 18.09.2006. 03 Assistant Executive Engineers (Electrical) in Roads & Buildings Engg. Service. Must possess a Bachelors Degree in Electrical Engineering of a University in India established or incorporated by under a Central Act, Provincial Act or a State Act or an Institution Recognized by the University Grants Commission or an Equivalent qualification or a Pass in Section (A) and (B) of the Institution of Engineers in Electrical Engineering. As per G.O.Ms.No.103 TR, R & B (Ser-II) Dept., dated:22.05.1996. 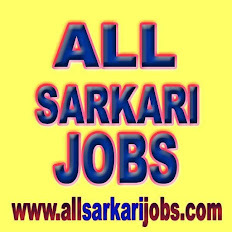 04 Assistant Executive Engineers (Civil) in A.P. Water Resources Department. 05 Assistant Executive Engineers (Mech) in A.P. Water Resources Department. 07 Assistant Executive Engineers (Civil / Mech) in A.P Tribal Welfare Engineering Department. 08 Assistant Executive Engineers (Civil) in A.P Public Health & Municipal Engineering Department. b) MODE OF PAYMENT OF FEE: i) The Fee mentioned in the above paragraph is to be paid online using Payment Gateway using Net Banking/ Credit card / Debit Card. The list of Banks providing service for the purpose of online remittance of Fee will be available on the Website. ii) The fee once remitted shall not be refunded or adjusted under any circumstances. Failure to pay the examination fee and application fee (in non-exempt case) will entail total rejection of application. iii) IPOs / Demand Drafts are not accepted. iv) In case of corrections Rs.100/- per correction will be charged. However changes are not allowed for Name, Fee and age relaxation. PARA-10: SCHEME OF EXAMINATION:- The Scheme & Syllabus for the examination has been shown in Annexure-II. For the purpose of writing of subject paper III. The candidate has to choose the branch of Engineering related to the subject of study in the Degree.